Vancouver Ocean Sports Canoe Club is the only club in Vancouver that offers programs for everyone, we truly are a club for the community and all its residents. 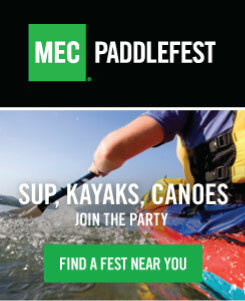 Join us for Outrigger, Stand Up Paddle Boarding, Kayaking… and lots of fun! If the desire exists, there are race opportunities for all levels of paddlers; from beginner to competitive. The Fraser Riverkeepers are dedicated to the protection, conservation, and improvement of the water quality and fish habitat of the Fraser River and its watershed. Our encompassing mission is to help ensure the right of all citizens to safely swim, drink, and fish in BC waters. Fraser Riverkeeper is a non-profit registered charity in Canada, and is a licensed member of the international Waterkeeper Alliance. At Accent, we use our 45 years in the kayak paddle industry, along with the latest technologies and materials, to provide the demanding and discerning kayaker with an unmatched selection of elite paddles. You simply will not be able to find a better kayak paddle on the market today. Carbon Polymer Zephyr paddles will be given out at every Big Chop race! The Mind Over Mountain Adventure Racing Series is one of North America's most popular adventure races. These 8 hour, 40km, multi-sport races feature mountain biking, kayaking, trekkinig, and much more. Make it your next endurance accomplishment. There is a reason why the best boaters in the world trust their lives to Stohlquist gear. A Stohlquist life vest feels great the first time on. Each model we offer follows the lineage of 30 years of product innovation, refinement, incorporating the latest in raw material development and manufacturing know-how to provide our customers with the best WaterWare available today. Do you live for the moment when you’re free to escape the daily grind and make a dash for the great outdoors? Well we do! And since 1983, Aquapac has been selling innovative gear to like-minded people all over the world. We design products that free you from worrying about your things getting muddy or wet when you’re on the trail or out on the water. Something we know all about! Clif Bar and Company started on a bike ride. Our founder, Gary, took a bike of another energy bar and thought to himself: "I could make a better bar than this." Lasso Security Cables are a highly visible and effective theft deterrent that will send would be thieves looking for an easier target. Lasso is designed to be the highest quality, easiest to use, simplest to install and the most effective theft deterrent available for your kayak. The Original Lasso and the new Kong Cable are available in two sizes and styles; made from thick vinyl coated galvanized steel aircraft cable. Lasso comes with a highly durable integrated four-digit resettable combination lock that you can secure or removed in seconds. Check out our customer testimonials. Level Six creates high quality innovative designs in progressive styles for recreational and sport surf and paddle enthusiasts. We work and play in the wettest, wildest environments on the planet to help us design and build the best performance gear possible. We work hard to make a line of products that complement your activity level while still allowing you to be the hottest, wettest paddler in the foam. As registered massage therapists, we customize each treatment for you, whether you’re looking for effective treatment for soft tissue injuries, care and support during pregnancy, performance sports massage or a relaxing, restorative break from your day. T'ashii Paddle School - Tofino's family owned and run paddling company with a heart. T'ashii is a Tla-o-qui-aht word meaning path on land or water. From Stand up paddle boarding courses to first nations cultural exploration in a real dugout canoe at T'ashii Paddle School our vision is to create a path to learning and connection with the natural environment through paddling. T'ashii donates 1% of revenue to Tla-o-qui-aht Tribal Park. Think Kayaks are designed for the pure pleasure of speed in water. Whether you are racing, paddling for fitness, or just looking to escape for an hour or two, our boats will get you there faster! Each Think boat is carefully designed and built from the finest materials available so that you have maximum enjoyment on the water. We specialize in surfskis and kayaks for racing and fitness paddling. Born and bred on Oahu's North Shore, Xcel is a core surf brand pumping out wetsuits, accessories, sun protection, and more since 1982. Xcel’s reputation for exceptional product quality is a clear result of an unwavering dedication to research, development, and design innovation. With tropical to cold-water products for men, women, and youth, the brand stresses performance: maximum stretch and durability, sealed-seam construction, and a fit that feels custom-made every time. Xcel has been voted Surf Industry Manufacturer’s Association (SIMA) “Wetsuit of the Year” by its industry peers three times (2007, 2008, 2010). Copyright © 2013 Mind Over Mountain Event Co. Ltd. & Pogue Sports Inc. All right reserved. BECOME A BIG CHOP SPONSOR! If you would like more information on how you can become a sponsor of the Big Chop, please email info@bigchop.ca or call Bryan at 604.999.3331.